How can a locksmith professional help secure my back door? There are several reasons to remember to give your backdoor and garden areas some love and extra attention when refurbishing your security. Both true in private homes and for commercial businesses who have a back space or a specific loading space. The reason for a locksmith specialist to bring this point up as a separate and emphasised one. Is that we often see front doors well kitted out. All the right security gear and measures in place. Whilst, when professionals are out in the London areas. 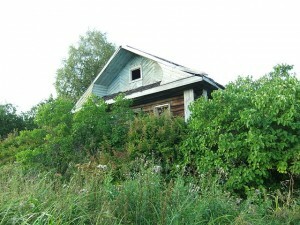 There are many points which leave something to be desired for the back yard and back door areas. There is no good excuse and only great reasons to speak to specialists in security. Locksmith specialists, who have lived, worked and provided high quality service through their life know well the dangers of an unattended and neglected backdoor area and garden. With help from everything to the door itself, the parts you need to secure it. All the way to securing the outer areas of your perimeter. Everything you need can be found from locksmith engineers who know security and the area well. If you have something in mind already, skillful locksmith installers can help you with the specific parts and installations that you need. If you are clueless we can help you with everything. Or if you are just curious to see what we can do for you and your security. You can ring us with your questions and have an enlightening conversations about your home or business security now. 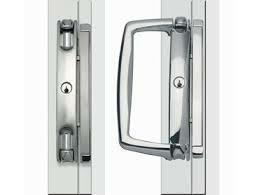 Back door security and garden security is something which needs to be remembered. Forgetting it can have dire consequences. Especially when the locks, alarms, security features, and other are easy to have installed and affordable. With London specialists who care for a safer and more secure area, you can trust your doors to be brought up to top quality security. New security door installation, additions of locks and lock mechanisms and more available and in stock now. Find your ideal security with someone who takes more into account than just the locks on your doors. Our professionals don’t only see the door security and the alarm system that you have installed as the only features which are in need of dire consideration. By getting in touch with lock and security specialists at trusted London providers you will find ideal security for less. Lock and key experts at a skilled locksmith service, are in full trot ahead. Working on securing your home before you even know it. Though always keeping on top of things, though always keeping educated. And though keeping up to date with with industry market as it stands today. A skilled locksmith expert knows that indoor, on house and outdoor garden security is a fresh goods. In need of continuous care and attention. We give it here, so that you don’t have to. Spare yourself all the hassle of sifting through the piles of different products on the market. And come straight to an expert locksmith service who has done that already. Who does so regularly to be able to bring you security products at great prices. And of high security standards. Everything security lights, to locks, gates, and security systems are available. Speak to a trusted locksmith today. Give us a call now. What outdoor security lights should I get? Well placed lights to illuminate your outdoor area is a great and cheap way to increase security at home. By simply adding the feeling of exposure to the potential culprit you may deter him or her from choosing your property as a target. The number of different outdoor security lights available is large and growing. Making a choice of what to get may prove difficult and confusing. This is why we want to bring up a couple of points worth thinking about when picking outdoor security lights. The most common types of outdoor security lights are flood lights, bulkhead lights and low pressure sodium lights. Flood lights are often of a high wattage and mounted up to 3 meters above ground level pointing downward. They illuminate large areas however can cause a glare which can be blinding at night. For areas away from the house, but still visible from inside of the home these act as powerful visual alarms. Bulkhead lights are a good choice of outdoor security lights are suitable for verandas, porches, backdoors and alike. Wall mounted and gentle on the eyes in the dark. Which is both useful and pleasant. The outdoor security lights you should get for the best visibility is the low pressure sodium type. Causing no glare you gain great large area illumination. For help with good positioning and choosing the right models contact our skilled security surveyors at any time. A couple of considerations when choosing the outdoor security lights you want to get. Strong lights may be upsetting to neighbours if angled in bad ways. How do you power your outdoor lights? There are many solar panel varieties for instance if there is no easily accessible point to plug in. This may also help with the running cost. As does a motion sensor activated version which may initially seem more expensive but works out cheaper in the long run. How can a locksmith specialist garden security check help me? There are a range of great reasons to book in for a full security inspection right now. If you’ve not had one done for your home or business in a year or more. Now is the time. The simple and straightforward reason for this. Is that a key factor in all matters security. Is the fresh goods nature also security carries. As you can understand, the security industry is pacing forward quickly. With new technologies and more innovative burglars. It’s important to stay up to date. Contact your London surveyor right now for a security inspection which will reveal the areas you need to pay extra attention to in order to remove risk. The reason for our special mention of outdoor security is that this is something that is often forgotten in the midst of home and business security equipment. Where the main building is often the star of the show. Getting all the pampering and attention in terms of security features. London experts here believe that at times investment can be better spent on upgrading your outdoor areas. Providing deterrents, illumination, good outdoor security for your outdoor structures and more. Than to invest more in a more than than sufficient security system for the building itself. Speak to a locksmith today by calling our number now. We are ready at all times to assist with the installation, advice and security checks that you need help with. We are there when you need it, and we are also ready in case of an emergency. Call us for your detailed home security inspection, your business security check and for the expert locksmith help you need to secure your outdoor areas. Affordable and competitively prices high security is our passion. Believing that security is a right and not a privilege. Get in touch with us now for more information. It’s about that time of the year, spring is coming to an end, and as the breeze is warming caressing your skin in the sun’s rays. It’s about this time when it’s also good to have a great service in your area who reminds you to your outdoors security. With the sun high in the sky there are many garden brushes and plants that tend to get out of control. And although this swift locksmith service understands how busy life can get, it’s important to remember to keep on top of the garden trimming. Not the least from a security point of view. With increase foliage there is a higher level of coverage for anyone who wishes to remain hidden in the summer nights. It’s simply best to keep a clear view garden which doesn’t invite any unwanted eyes to have a second glance. Speak to your experienced swift locksmith service today if you have any questions or concerns with regards to the security of your outdoor areas. The team here is always keeping current to ensure that you have up to date protection against the threats of today. A great security solution for your home or your work place awaits just around the corner, and it’s one that suits your personal needs as well as your budget. All your security questions will be answered in a friendly way by your caring swift locksmith service. Feel free to get in touch at any time if you have any comments, feedback or if you are in need of advice with regards to your security. To ensure that you have good outdoor lights is something that is nothing less than a must for any good home security situation, and this especially in the darker times of the year when the overall risk for home owners are higher. 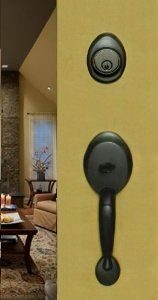 What an expert locksmith service would of course suggest, is something like a motion sensor activated light. Installing it around the home is easy, but of course you can get in touch with us, should you need any assistance. There is a big array of different varieties of motion sensor lights on the market, and to find what suits you some shopping around may be a good idea. Different styles, colours and features are generally available, and should you require some advice on where to look, how to look and what is good to look for don’t hesitate to get in touch with a helpful locksmith which you can of course reach by calling the number above. In calling you can also find assistance in finding the right placement, and with a locksmith security inspection expert you can if you book in for a survey find the ideal spots to keep your property safe and secure. In the video below there are a couple of examples of lights current available to give you a general idea.